I hope you all, had a joyous holiday weekend! 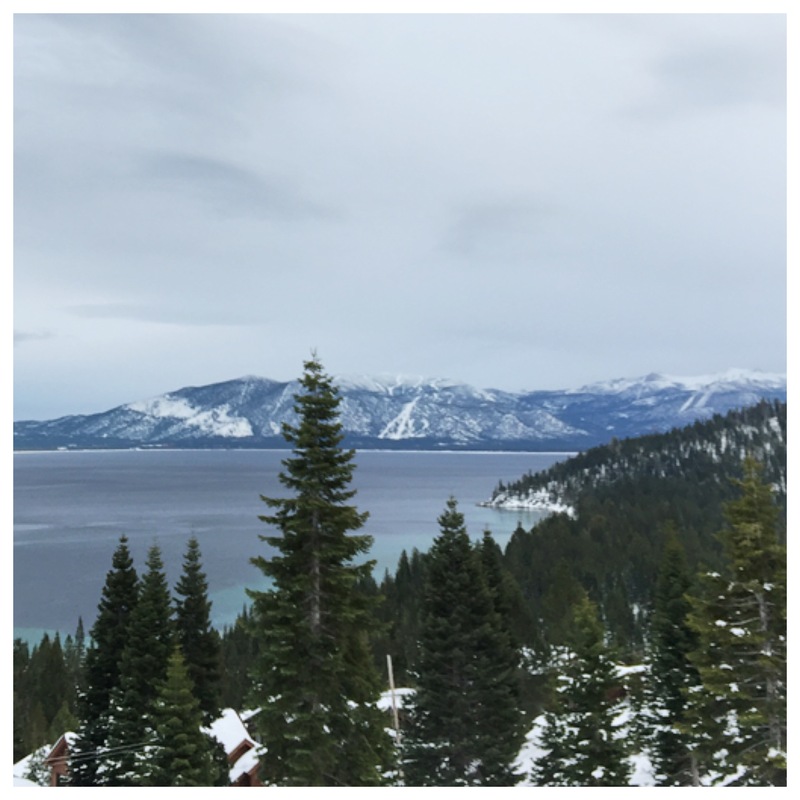 We had a wonderful Holiday, and were lucky to have an opportunity to hit the snow, in Lake Tahoe. This is the view, from our deck. As you can see, lot’s of snow! It’s been awhile, since we’ve had a good snow dump, out in these parts. We are celebrating the snow, and rain out here – keep it coming! Anyone pick up any great sale items, after Christmas? There are still, so many great deals to be had, what ‘s a girl to do? at 33% off, right before Christmas. No surprise, they took a second markdown, to 50% off, on Christmas Day. Still in the 2 week time frame for a price adjustment, Nordstrom graciously credited me back $76.00, no questions asked. Now, that’s why I shop at Nordstrom – fabulous service! We won’t even talk about my debacle, over at another retailer. I’ll just say, I am still trying to straighten the mess out, eek! 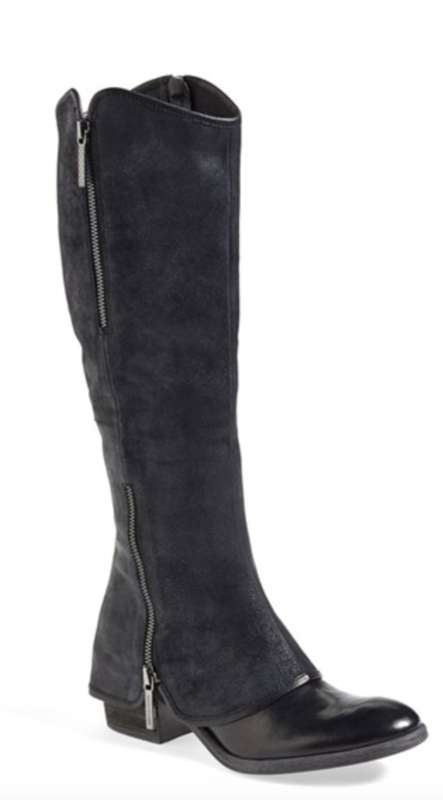 I’ve had my sights on the ‘Devi’ boot ,since early fall, and was thrilled to pick up a pair, on sale! I did go with my regular size, but they do run tight in the toe box – if you are at all between sizes, or have wide feet, you may want to size up. I have a few Donald Pliner boots, and they always stretch out, to a perfect fit. I’m hoping these will be fine as well. 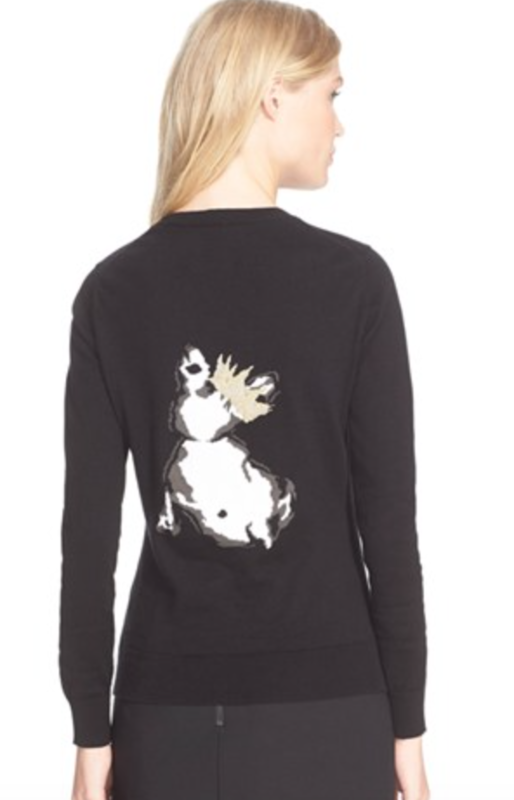 I also picked up these Lisa Todd intarsia sweaters, over at Neiman Marcus Last Call. I purchased my regular size small in these. 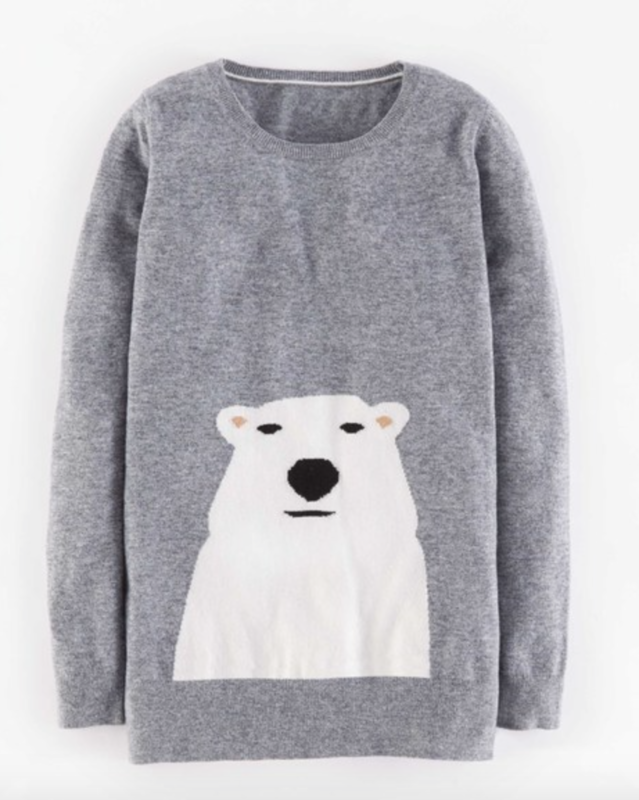 I bought these sweaters, to specifically wear, with skinny jeans and tall boots. 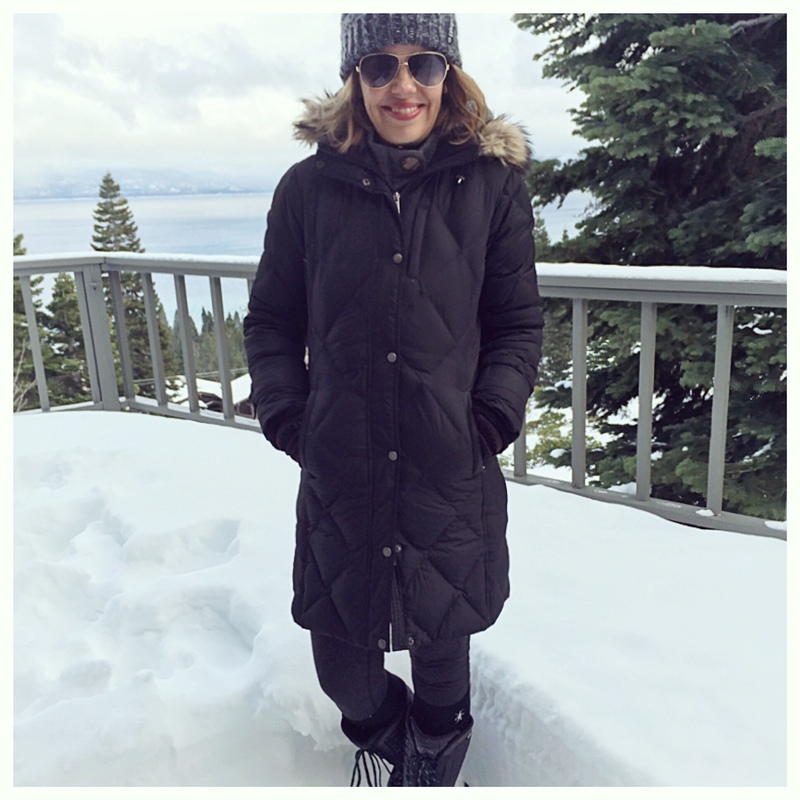 Add a puffer jacket, or puffer vest – an easy mom uniform. Here’s a look at how I wore the ‘smile’ sweater. Lisa Todd cashmere sweater | Mother high waist ‘Looker’ jean in black, similar HERE, HERE | Corso Como OTK boots, similar HERE , HERE| Boden cow print tote bag | furry infinity scarf, similar HERE, HERE | OPI ‘Here Today Aragon Tomorrow’ dark green nails. 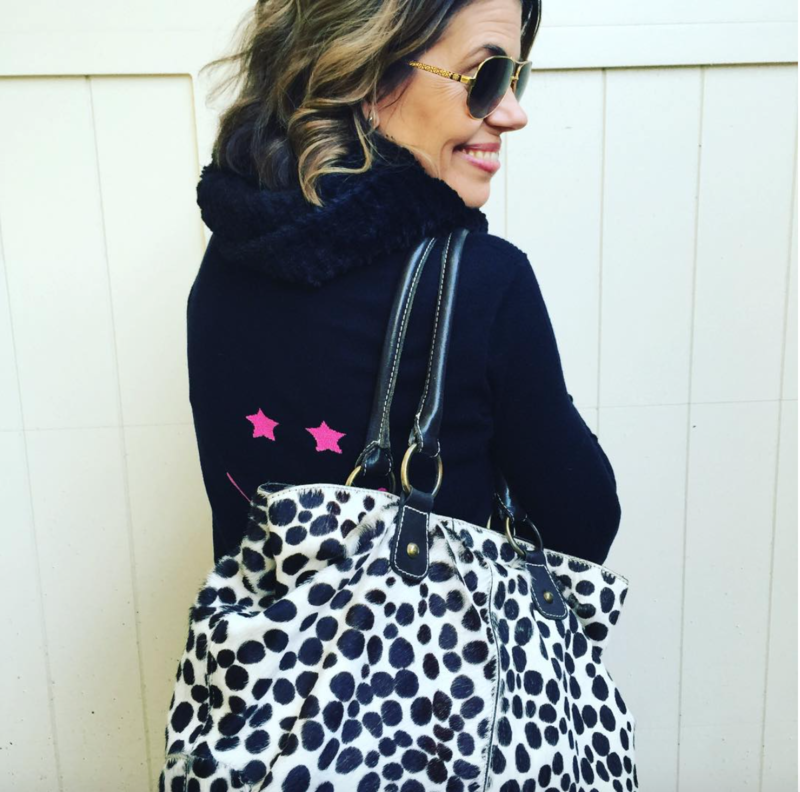 Knowing I’m wearing a smiley face on my back, makes me happy. 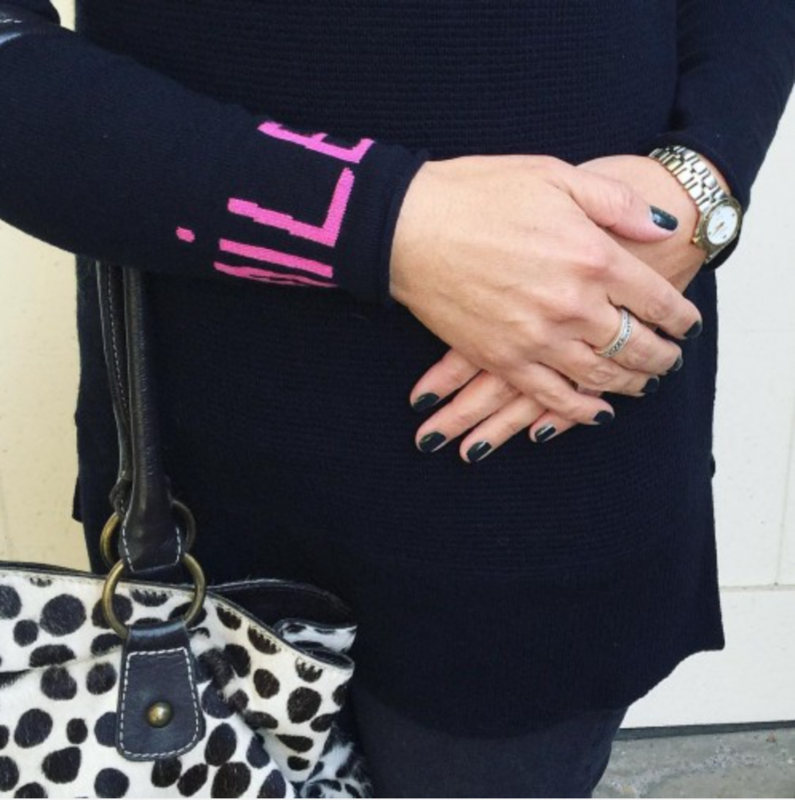 And, with the word smile on my wrist all day long – how can I not smile back? This has become my ‘happy” outfit. I love the fit of the jeans, the fur scarf is so cozy, and I love my cow print bag! It’s a love fest all-round! it’s a party in the back! 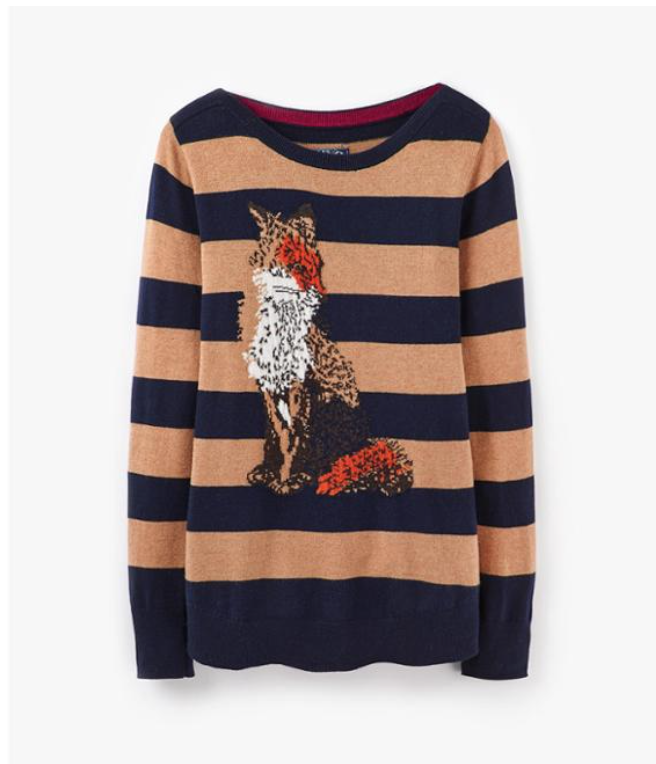 Have any of you spotted cute, fun sweaters out there? just trying to stay warm! Thanks for stopping by, and feel free to drop any comments, down below. I’ll see you all back here, in the New Year! 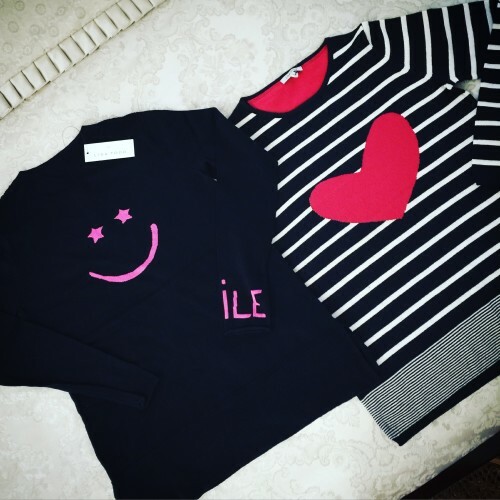 You picked up some great pieces! 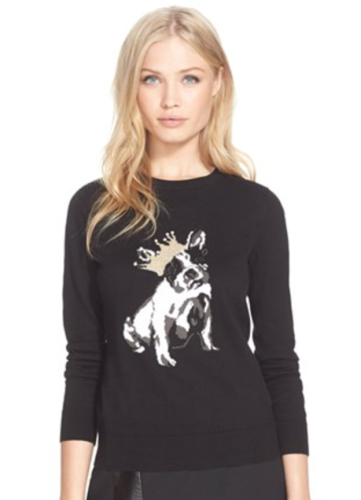 Love the cute sweaters! And awesome deal on the boots! Wishing you a happy & healthy 2016!